Udaipur has a dry weather in both summers and rainy season. The best time to visit Udaipur is between September to March, as the weather is ideal for sightseeing and outdoor activities. July to September is the monsoon season and it is also a good time to visit Udaipur. Udaipur has an international airport which is visited by number of Indian and international guests all year round. Other than this, Udaipur railways are connected to major part of other cities and Udaipur has even got quality buses, which regularly travel from nearby places. What is the minimum number of days of stays required to cover Udaipur? Udaipur has many historic spots to its credit and in order to cover all of them you need a minimum of 2-3 days. Where to stay at Udaipur? Udaipur is known to be a tourist friendly city. And thus, the historic place boasts of a number of hotels. 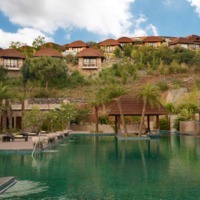 At cleartrip website you can see a wide range of hotels, from homestays to resorts to 5-star hotels. 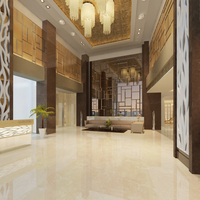 You can choose the best hotel as per your budget and preference. 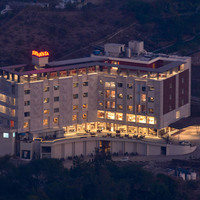 How can I find hotels near Pichola Lake, Udaipur? You can easily find hotels near Pichola Lake on Cleartrip by entering Pichola Lake, Udaipur in the Where field option on the Hotels Page. The lists of hotels near Pichola Lake will be displayed in the search results and you can book as per your need and budget. 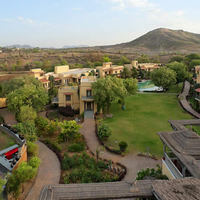 You can also check out resorts in Pichola Lake in Udaipur. What is Udaipur famous for? Udaipur is also known as lake city. Thus, during your visit to Udaipur you will come across a number of beautiful lakes situated in the midst of the city. Other than this Udaipur holds a glorious past and thus monuments are one of the major attractions of the city. What are the top 5 places worth visiting in Udaipur? Udaipur has a healthy mix of places to visit. If you are bored of visiting historical monuments then you can visit lakes and city gardens which are one of the most visited places of the city. Thus, 5 major attractions of the city are as follows – City Palace, lake Pichola, Fatehsagar lake, Vintage Car Museum and Doodh Talai Musical Garden. What are the popular local delicacies of Udaipur? Udaipur belongs to Rajasthan state and the major delicacy of the place in Daal Baati Choorma. Other than this Laal Maas, Mohan Maas, Ker Sangri, Gatte ki Khichdi are some of the most popular delicacies of Udaipur. Which are the famous temples in Udaipur? Mahakaleshwar Mandir, Bohra Ganesh Temple, Mahalaxmi Temple, Jagdish Temple, Neemach Mata Temple, Eklinji Temple are some of the famous temples in Udaipur. How to book heritage hotels in Udaipur? 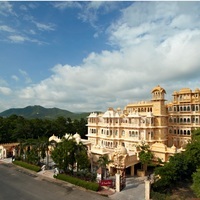 Hotel Dream Palace, Raas Devigarh are some of the heritage hotels in Udaipur. To gather more info, you can choose heritage hotels from the ‘Hotels By property type’ drop-down on the Udaipur Hotels page on Cleartrip. 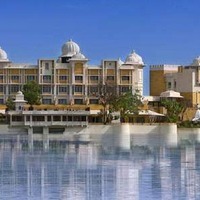 How to avail discounts while booking hotels in Udaipur? One can go through Cleartrip hotels page , where all sorts of hotels from budget hotels to 5-star hotels in Udaipur are available. You can also use a valid coupon code to avail the best deal. Which are the most famous lakes in Udaipur? Some of the most beautiful lakes in Udaipur are Lake Pichola, Fateh Sagar Lake, Udai Sagar, Swaroopsagar Lake, Dudh Talai Lake, Jiyan and Sagar Rangsagar Lake and Swaroop Sagar. Can Unmarried couples stay at Udaipur hotels? Unmarried couples can stay at Udaipur hotels but of course if the hotel policy permits. Thus, you need to go through the hotel policy. Also, make sure that both of you should carry proper government ID proofs and documents so that you can make your stay at Udaipur comfortable and hassle free. Is room service offered by Udaipur hotels? 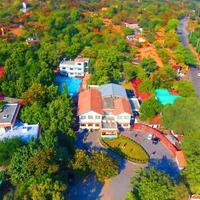 Udaipur hotels have some of the best hotels to its offering. Some of the hotels with room service are Natural Lake View Hotel, Hotel Baba Palace, Rupis resort and many more. All these hotels can be booked online via Cleartrip. 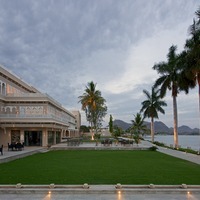 Name some of the resorts at Udaipur? 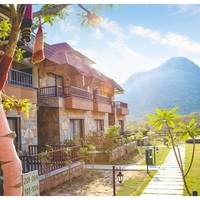 Some of the resorts at Udaipur are – Rupis resort, Chunda Palace, Aaram Bagh and many more. To book resorts in Udaipur at best rates, log on to Cleartrip website. 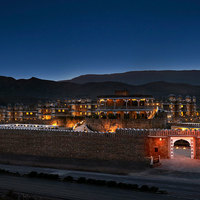 What are the best 5-star properties at Udaipur? Some of the popular 5-star hotels in Udaipur are Taj Lake Palace, Trident, Udaipur, and Radisson Blu Udaipur Palace Resort and Spa. For bookings and other details, log on to Cleatrip. 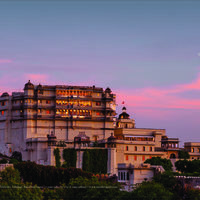 Name some of the budget hotels at Udaipur? 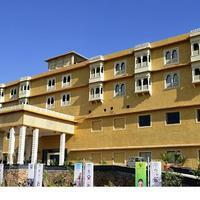 Some of the budget hotels at Udaipur are – Hotel Baba Palace, The Sajjan Villa, Hotel Nayee Havi and many more. 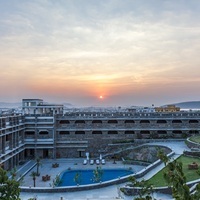 How can you get the best hotels at Udaipur location wise? 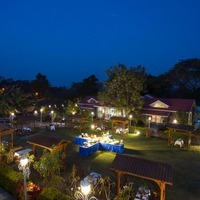 Cleartrip offers you a unique service where you can choose hotels on the basis of location. 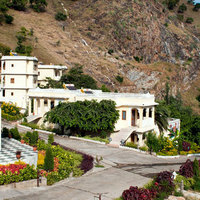 Visit Udaipur Hotels page and select locality as the dropdown option. List of all the hotels location wise will be displayed on the Cleartrip website. Do Udaipur hotels have pool facility? 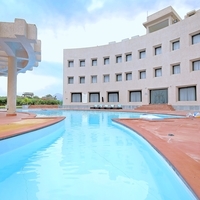 There are many hotels at Udaipur which offer pool facility . For all the options, log on to Cleartrip website and select hotels with pool at the time of booking. What are the various hotel chain options available at Udaipur? At Udaipur you can get through number of hotel chain options like –Trident Hotels, Club Mahindra and Taj Group of Hotels. To book from the different hotel chain options, visit cleartrip hotels page . What are the must try activities at Udaipur? Udaipur is well known for sightseeing and taking a sunset boat cruise at lake Pichola is one of the must try activities at Udaipur. Other than this you can indulge in natural photography at Saheliyo ki Bari Garden and take a ropeway ride to explore the beautiful aerial view of the city. Boating, cycling, bird watching are some other things to do in Udaipur . What are some of the best weekend getaways from Udaipur? Some of the extremely popular weekend gateways from Udaipur are – Jodhpur, Ajmer, Jaipur, Ahmedabad, New Delhi, Agra, Jaisalmer, Mount Abu, Vadodara and many more. What are the most beautiful things to do in Udaipur for couples? Apart from sightseeing, witnessing the sunset from Sunset terrace, taking a boat ride at Lake Pichola, spending a night at Ambrai Restaurant, taking a camel ride are some of the most romantic things to do in Udaipur with your lover. Which are the top places to enjoy a drink in Udaipur? There are many bars and pubs in Udaipur where you can have a relaxing time at night. 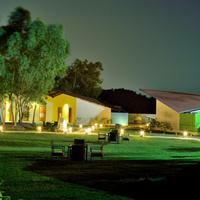 Some of them are Udai Kothi, Udaivilas, Panera Bar, Bamboo Beats, The Wino, Club Volcano, Aangan Bar and Harbour Bar. What can I buy from Udaipur? You can buy jewelry, textiles, meenakari items, gemstone paintings, oxidized silver & copper items, Pichwai & miniature paintings, sculptures and marblestone from Udaipur. Which are the best places for street shopping at Udaipur? Hathipole, Jagdish Chowk Street, Ghanta Ghar, City Palace Street, Bada Bazaar and Baapu Bazaar are some of the most popular places for street shopping at Udaipur. Is room service available at Udaipur Hotels? Yes, almost all the hotels in Udaipur offer room service to the guests. 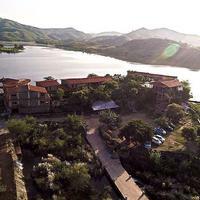 Natural Lake View Hotel, Jaisamand Island Resort are few hotels with room service in Udaipur. All of these hotels can be booked online at best prices through Cleartrip. Is bar facility available at Udaipur hotels? Yes, there are many hotels with bar facility in Udaipur. 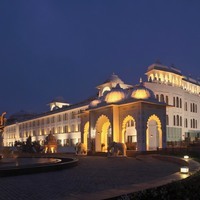 Fateh Prakash Palace, Raghu Mahal Palace and Hotel Rajdarshan are few available options. Do Udaipur hotels offer Wi-Fi facility? Yes, there are several hotels in Udaipur that offer Wi-Fi facility to the guests. To book hotels with Wi-Fi log on to Cleartrip website or app. What are some of the other interesting places to visit in Udaipur? Udaipur has a vast array of options for people visiting the city. Some of the most interesting places at Udaipur are – Lake Pichola, City Palace, Fateh Sagar Lake, Jaisamand Lake, Vintage Car Musuem, Monsoon Palace, Gulabh Bagh and Zoo and Sajjangarh Biological Park.